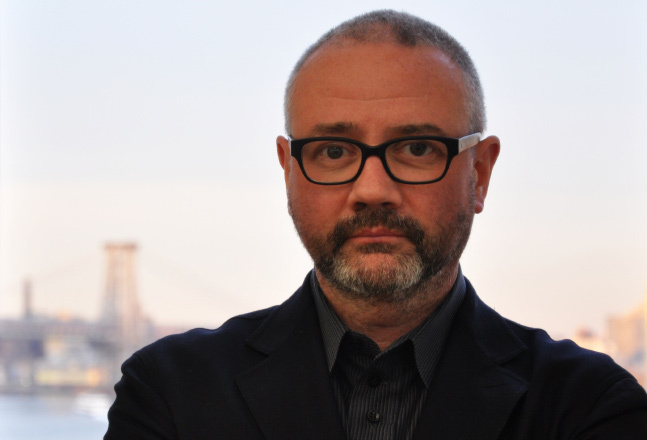 The IDA is proud to announce Simon Kilmurry as our new Executive Director. Kilmurry joins IDA following an illustrious 16-year tenure in public television where he has served as Executive Producer at POV—the long-running PBS showcase of documentaries—since 2006 and Executive Director of American Documentary, POV’s non-profit parent organization. We couldn’t be more excited to welcome him to the IDA. "I'm thrilled to be joining the International Documentary Association," said Kilmurry. "Documentary is one of the most exciting forms of cultural expression, it is absolutely vital to a thriving democracy, and I am deeply passionate about it. The IDA has never been better positioned to play a leadership role in the field, advocating for and providing support to filmmakers, and convening an international dialogue for filmmakers telling the most relevant stories of our time." "Simon is a dream hire. It's hard to imagine anyone better qualified to take the reins at IDA," said Marjan Safinia, President of the IDA's Board of Directors. "As an internationally recognized leader in our field, Simon's name is synonymous with excellence in documentary, and his passion for the form is unrivaled. He is truly from the tribe of documentary filmmakers that we serve. This, coupled with his extraordinary track record in organizational management and deep insight into the needs of the documentary field, makes him the strongest possible leader to continue our evolution." Kilmurry has won numerous accolades in his role at POV including a Primetime Emmy Award, 12 News and Documentary Emmy Awards, a Special Emmy Award for Excellence in Documentary Filmmaking, as well as more than 50 News and Documentary Emmy nominations. He is the recipient of five Peabody Awards, three Du Pont Columbia Awards, two Overseas Press Club Awards, a Grierson Award, and is a two-time recipient of the Best Continuing Series Award from the IDA. In 2011 he received the National Association of Latino Independent Producers’ Award for Corporate Commitment to Diversity. Under his leadership, American Documentary, POV’s parent organization was the recipient of a $1 million MacArthur Award for Creative and Effective Institutions in 2013. In addition to POV, he is the executive producer of America ReFramed, a documentary series on the WORLD Channel. Kilmurry will relocate from New York to Los Angeles to begin work in our mid-city offices on July 6, 2015. In the meantime, we are delighted to be working with David Greco, our Interim Executive Director, who joined the IDA earlier this month. Greco is a seasoned nonprofit leader who met the IDA through the Annenberg Foundation’s Alchemy+ leadership training program for nonprofits, where Greco is a trainer. His expertise in strategic growth, scaling organizational impact and capitalization planning make him the ideal candidate to help lay the infrastructure for the IDA’s next chapter of growth. Greco comes to us from Social Sector Partners, and most recently served in leadership roles at Northern California Grantmakers and the Nonprofit Finance Fund. Join us in welcoming Simon and David to the IDA! It’s going to be an incredible 2015!